Zimbabwe’s justice minister has cast doubt on whether two leading South African lawyers can appear in a Harare court next week to support Nelson Chamisa’s challenge to the July presidential poll. 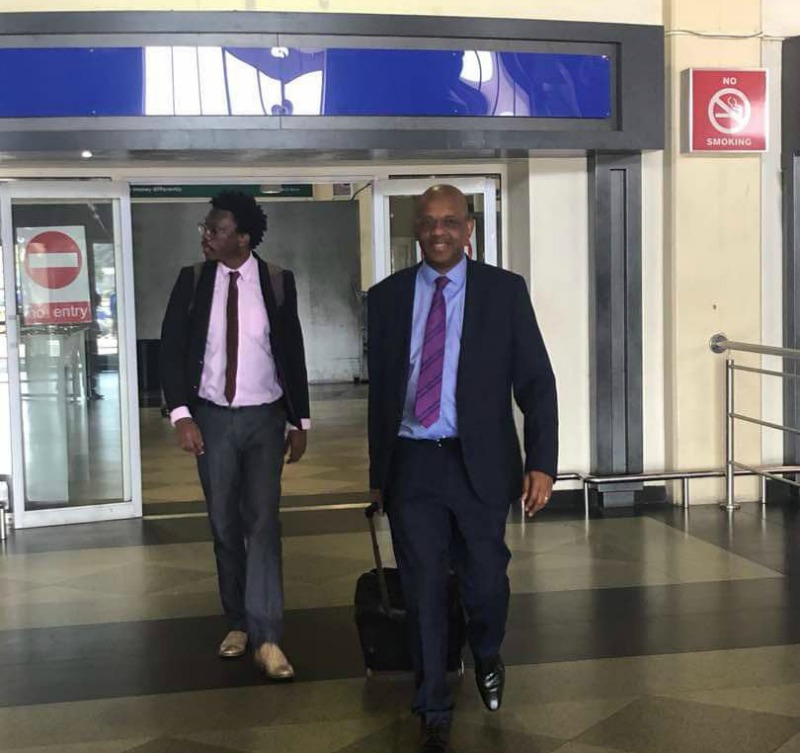 Dali Mpofu and Tembeka Ngcukaitobi arrived in Zimbabwe this week to support the high-profile case, but Justice Minister Ziyambi Ziyambi says they can’t practice without his permission. “They need to apply to me to consider the request and advise the Law Society of Zimbabwe (LSZ) accordingly,” Ziyambi told the state-run Herald. “Suppose they want to argue this matter – they know the procedure to follow. As it is, I do not know what their game plan is,” he added. Mnangagwa and his ministers still hold office even though Mnangagwa’s election victory is being challenged. Chamisa’s petition will be heard on Wednesday at the Constitutional Court, according to AP. Chamisa’s spokesperson, Nkululeko Sibanda says Kenyan and Zambian lawyers are also due to join the MDC Alliance’s legal team. “We are leaving nothing to chance,” he told New Zimbabwe, an online news site. Comparisons have been drawn between Kenya’s disputed presidential poll last year that re-elected Uhuru Kenyatta, and the disputed Zimbabwe poll. In Kenya, Kenyatta’s victory was nullified by the Supreme Court after a successful petition launched by opposition leader Raila Odinga. “Odinga has close ties with Zimbabwe’s opposition MDC Alliance,” New Zimbabwe reported. “His (Chamisa’s) legal team hired from Kenya will likely provide interesting insights” on the Kenyan experience, it added. Chamisa claims he got more votes than Mnangagwa, and that the results were manipulated to deny him victory. Mnangagwa and the Zimbabwe Electoral Commission say Chamisa has provided no evidence to support his claim.